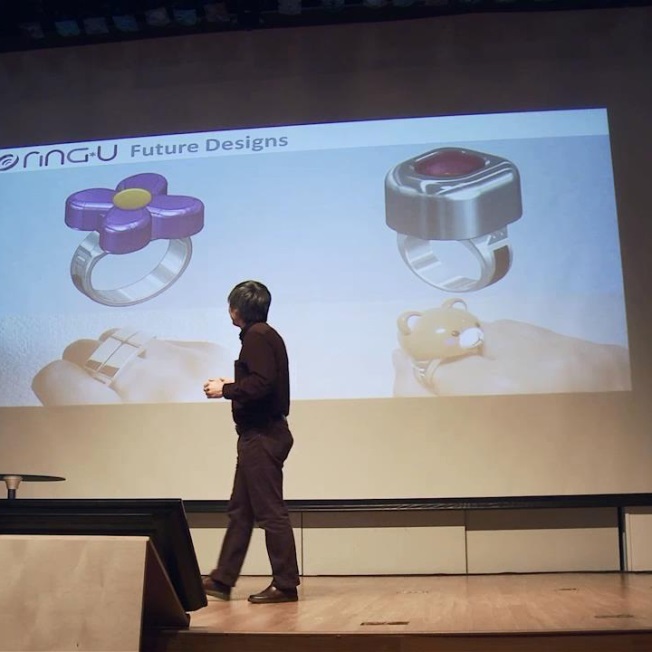 On April 7th 2014 FeelU team members Adrian David Cheok, Jimmy Kim, Alex Namkung, Frank Meehan, Yongsoon Choi, and Jordan Tewell met up in Korea to give presentation and live demo of our product, Ring*U, to an audience on April 9th at Olleh Square in central Seoul. 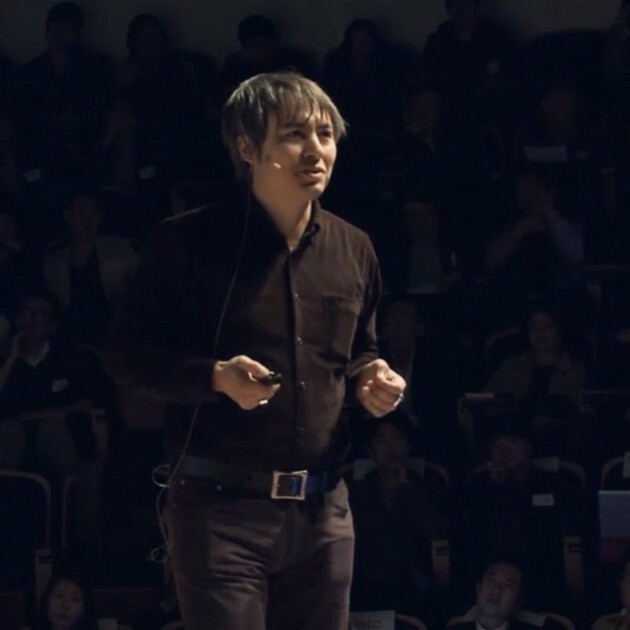 The event was organized by our investor in Korea, Spark Labs, for means of launching their sponsored startup companies. Seven teams along with FeelU pitched our idea to potential investors and collaborators attending the event. 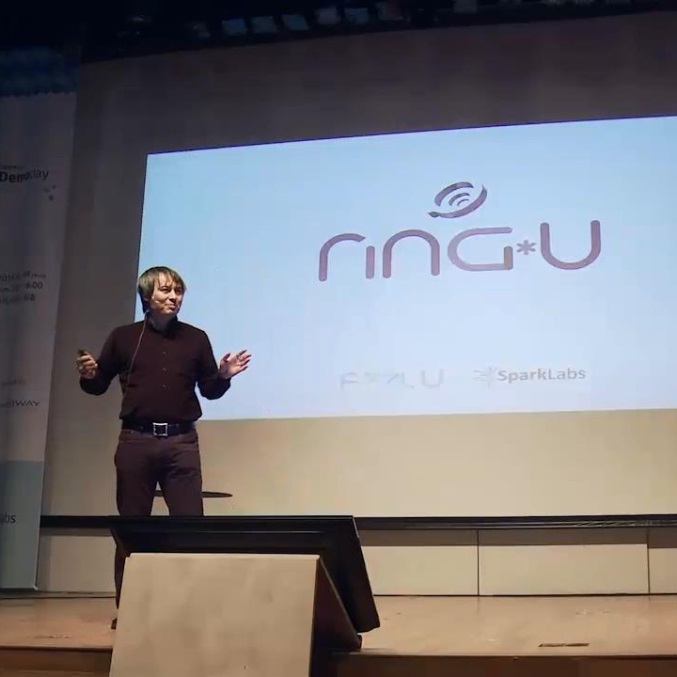 This was our first public reveal for Ring*U and our “one-to-many” and “many-to-one” user business model approach. We showed off the new latest prototype which featured full Bluetooth connectivity with our RingU app and a ring design that completely enclosed our hardware, a huge step forward from our older external box prototype. During the demo FeelU developers Jordan and Yongsoon took the stage and pretended to miss each other terribly. Then they showed how Ring*U could allow them to intimately communicate to show their feelings toward each other. 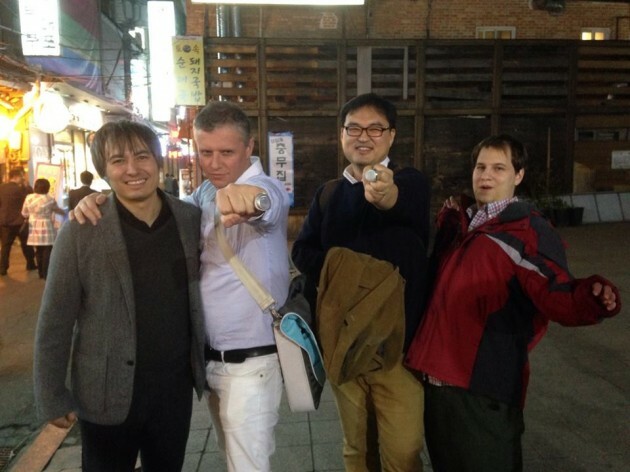 Although the demo showed Jordan and Yongsoon in close proximity to each other, our demo could of worked just as well if Jordan had been in London. The demo was successful and it seemed we gathered much interest from the audience. We were even interviewed by a pair of journalists. The next step is to get a second stage of investment money to outsource the research and development to condense our hardware into something that can fit in a smaller, more fashionable ring. Our team is currently working on a revision of the demoed prototype to fix bugs and reduce the size further so we can use it in experiments planned in the future. 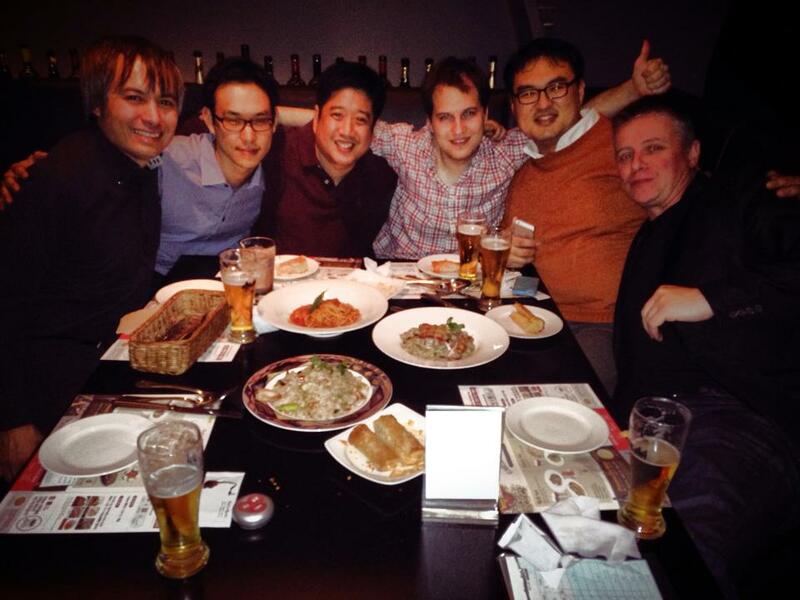 We had quite the welcome in Korea with our investor Jimmy Kim joining us for fabulous Korean pizza and a night out in Seoul. We thank him and Spark Labs for their tremendous support of our project and continue to look forward to the development of Ring*U toward our goal of releasing it later this year. This entry was posted in Uncategorized by Emma Zhang. Bookmark the permalink.